November 6, 2017 SS Doug Bernier elected free agency. July 19, 2017 Round Rock Express activated SS Doug Bernier from the temporarily inactive list. July 16, 2017 Round Rock Express placed 2B Doug Bernier on the temporarily inactive list. July 6, 2017 Round Rock Express activated 2B Doug Bernier from the 7-day disabled list. July 3, 2017 Round Rock Express sent 2B Doug Bernier on a rehab assignment to AZL Rangers. May 4, 2017 Round Rock Express placed 2B Doug Bernier on the 7-day disabled list. 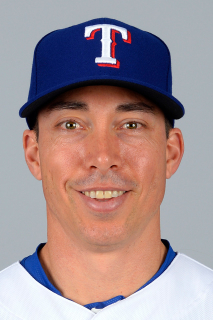 November 11, 2016 Texas Rangers invited non-roster 2B Doug Bernier to spring training. March 2, 2016 SS Doug Bernier assigned to Texas Rangers. February 16, 2016 2B Doug Bernier assigned to Round Rock Express. February 6, 2016 Texas Rangers signed free agent SS Doug Bernier to a minor league contract. October 12, 2015 SS Doug Bernier elected free agency. July 2, 2015 Minnesota Twins sent Doug Bernier outright to Rochester Red Wings. May 21, 2015 Minnesota Twins optioned SS Doug Bernier to Rochester Red Wings. May 6, 2015 Minnesota Twins selected the contract of Doug Bernier from Rochester Red Wings. November 26, 2014 SS Doug Bernier assigned to Rochester Red Wings. November 18, 2014 Minnesota Twins signed free agent SS Doug Bernier to a minor league contract and invited him to spring training. October 14, 2014 SS Doug Bernier elected free agency. October 13, 2014 Minnesota Twins sent SS Doug Bernier outright to Rochester Red Wings. September 2, 2014 Minnesota Twins selected the contract of SS Doug Bernier from Rochester Red Wings. March 30, 2014 SS Doug Bernier assigned to Rochester Red Wings. November 14, 2013 Doug Bernier assigned to Rochester Red Wings. October 11, 2013 Minnesota Twins signed free agent SS Doug Bernier to a minor league contract and invited him to spring training. October 10, 2013 SS Doug Bernier elected free agency. October 4, 2013 Minnesota Twins sent SS Doug Bernier outright to Rochester Red Wings. July 16, 2013 Minnesota Twins selected the contract of Doug Bernier from Rochester Red Wings. February 11, 2013 Doug Bernier assigned to Rochester Red Wings. February 1, 2013 Minnesota Twins signed free agent SS Doug Bernier to a minor league contract. November 2, 2012 SS Doug Bernier elected free agency. September 1, 2012 Scranton/Wilkes-Barre Yankees activated SS Doug Bernier from the 7-day disabled list. August 22, 2012 Scranton/Wilkes-Barre Yankees placed SS Doug Bernier on the 7-day disabled list. June 6, 2012 Scranton/Wilkes-Barre Yankees activated SS Doug Bernier from the 7-day disabled list. May 7, 2012 Scranton/Wilkes-Barre Yankees placed SS Doug Bernier on the 7-day disabled list. April 5, 2012 SS Doug Bernier assigned to Scranton/Wilkes-Barre Yankees. February 8, 2012 New York Yankees signed free agent SS Doug Bernier to a minor league contract and invited him to spring training. November 2, 2011 SS Doug Bernier elected free agency. December 15, 2010 New York Yankees signed free agent SS Doug Bernier to a minor league contract and invited him to spring training. December 15, 2010 SS Doug Bernier assigned to Scranton/Wilkes-Barre Yankees. November 6, 2010 SS Doug Bernier elected free agency. July 22, 2010 Indianapolis Indians activated SS Doug Bernier from the 7-day disabled list. July 13, 2010 Indianapolis Indians placed SS Doug Bernier on the 7-day disabled list. April 22, 2010 Indianapolis Indians activated SS Doug Bernier from the 7-day disabled list. April 7, 2010 SS Doug Bernier assigned to Indianapolis Indians from Pittsburgh Pirates. February 5, 2010 Pittsburgh Pirates signed free agent SS Doug Bernier to a minor league contract and invited him to spring training. November 9, 2009 SS Doug Bernier elected free agency. September 1, 2009 Scranton/Wilkes-Barre Yankees activated SS Doug Bernier from the 7-day disabled list. August 21, 2009 Scranton/Wilkes-Barre Yankees placed SS Doug Bernier on the 7-day disabled list retroactive to August 19, 2009. December 3, 2008 Scranton/Wilkes-Barre Yankees signed free agent SS Doug Bernier.